I knew there must be a reason why I don’t visit Tai O (located at Lantau Island) as often as, say, Cheung Chau, or Lamma Island. 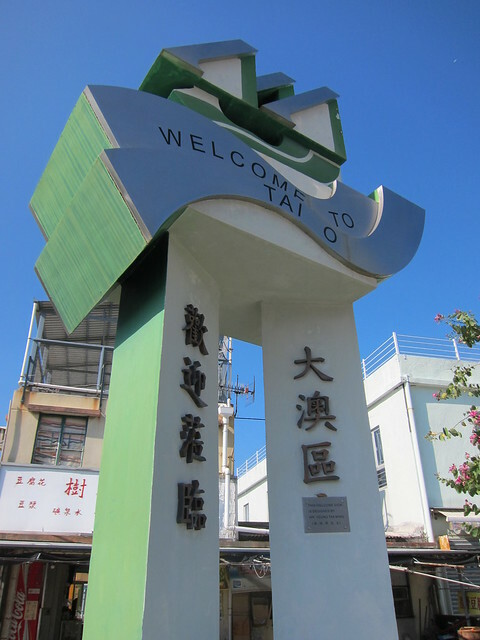 My last Tai O trip was by accident – we wanted to go to the Big Buddha but didn’t get off at the right bus stop – so this time round when Chris and I went out specifically to go to Tai O, we were… mindful of the time necessary. Oh my, what a debacle. First we had to take the train all the way to Tung Chung, which is the main town on Lantau Island. That itself is a 30 minute journey. Then at the Tung Chung bus terminal, we wait for some thirty minutes to get onto the bus, as the buses plying the Tung Chung – Tai O route was small, and they don’t allow standing passengers. And then on and on it went, the bus going through the mountain side, a good hour journey. By the time we reached Tai O, both of us were tired, hot and exhausted… ready for our first refreshment of the day.